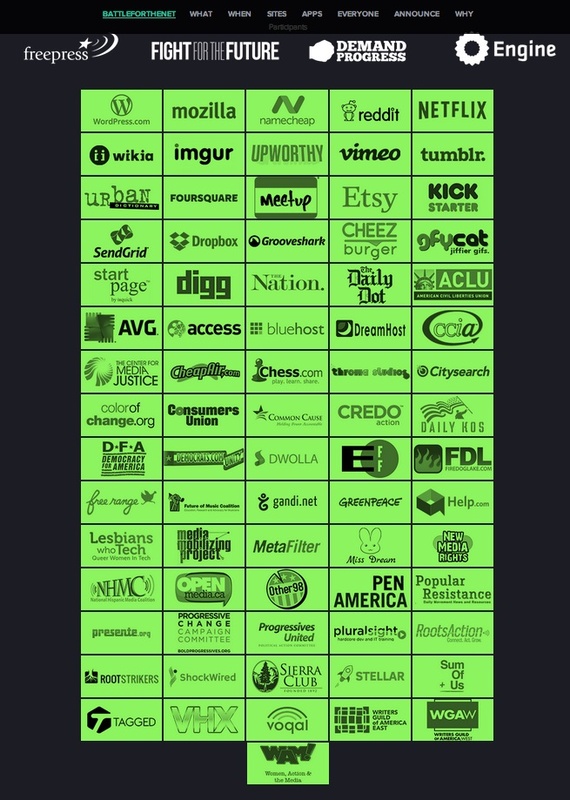 As a candidate, Senator Barack Obama said on November 14, 2007 that “I will take a back seat to no one in my commitment to network neutrality, because once providers start to privilege some applications or websites over others, then the smaller voices get squeezed out and we all lose. The Internet is perhaps the most open network in history, and we have to keep it that way.” Over the past six years, however, his voice has often been missing from the debate over how the providers of broadband Internet service should be regulated. This morning, however, President, Barack Obama came out much more strongly in favor of net neutrality. In his statement (video embedded above, text linked) the president outlined 4 “bright line rules” that he wants the Federal Communications Commission to adopt for how consumer broadband Internet providers should behave (no blocking, no throttling, no paid prioritization, more transparency) and a rationale for how they should be regulated. That position is unquestionably a big win for activists, who are thrilled about the news this morning. If you’re unclear about what “forbearance” means, beyond the dictionary meaning of “holding back,” here’s a good article by Nancy Scola and and here’s a much longer post, by Harold Feld, which has more on the topic, and why it’s contentious among telecom lawyers and policy wonks. Should this plan actually make into Open Internet rules and be voted in, how forbearance is handled what Stacey Higgenbotham suggested watching in her excellent analysis of this net neutrality proposal.” They have the patience and lobbying muscle to ensure that in the process of forbearing them from certain practices that are irrelevant for a broadband era, they can get concessions that may make Title II less onerous for them,” she wrote. Forbearing from rate regulation, or artificially controlling the price for a set level of service, would address one of the most significant objections to Title II that have been raised by American telecommunications companies. Other countries, like Argentina, are going a different route. That didn’t stop Verizon from warning that reclassification under Title II would cause “great harm to an open Internet, competition and innovation. The National Cable and Telecommunications Agency released a statement that (former FCC chairman) CEO Michael Powell was “stunned” by the president’s statement on net neutrality and that the matter belongs in Congress. To attempt to impose a full-blown Title II regime now, when the classification of cable broadband has always been as an information service, would reverse nearly a decade of precedent, including findings by the Supreme Court that this classification was proper. This would be a radical reversal that would harm investment and innovation, as today’s immediate stock market reaction demonstrates. And such a radical reversal of consistent contrary precedent should be taken up by the Congress. As the president also noted, that “the FCC is an independent agency, and ultimately this decision is theirs alone,” but there’s no question that the President of the United States has put his thumb on the scale here, finally, and that it will put some pressure on the two Democratic commissioners, along with the man he nominated to lead the FCC, chairman Tom Wheeler. Ball is still in the FCC’s court on #NetNeutrality. They aren’t required to follow the President’s approach. But it will be tough not to. The President’s statement is an important and welcome addition to the record of the Open Internet proceeding. Like the President, I believe that the Internet must remain an open platform for free expression, innovation, and economic growth. We both oppose Internet fast lanes. The Internet must not advantage some to the detriment of others. We cannot allow broadband networks to cut special deals to prioritize Internet traffic and harm consumers, competition and innovation. As an independent regulatory agency we will incorporate the President’s submission into the record of the Open Internet proceeding. We welcome comment on it and how it proposes to use Title II of the Communications Act. In January, a federal court struck down rules that prevented Internet Service Providers from blocking and discriminating against online content. In May, the Commission sought comment on how to best reinstate these rules to protect consumers and innovators online while remaining within the parameters of the legal roadmap the court established. The goal was simple: to reach the outcomes sought by the 2010 rules. We sought comment on using Section 706 of the Telecommunications Act, as discussed by the court to protect what the court described as the “virtuous circle” of innovation that fosters broadband deployment and protects consumers. The purpose of the Commission’s Notice of Proposed Rulemaking proposal was to elicit comments. In the past several months, we’ve heard from millions of Americans from across the country. From the beginning I have pledged to finally bring to an end the years-long quest for rules that are upheld in court. In May we sought comment on both Section 706 and Title II and I promised that in this process all options would be on the table in order to identify the best legal approach to keeping the Internet open. That includes both the Section 706 option and the Title II reclassification. Recently, the Commission staff began exploring “hybrid” approaches, proposed by some members of Congress and leading advocates of net neutrality, which would combine the use of both Title II and Section 706. The more deeply we examined the issues around the various legal options, the more it has become plain that there is more work to do. The reclassification and hybrid approaches before us raise substantive legal questions. We found we would need more time to examine these to ensure that whatever approach is taken, it can withstand any legal challenges it may face. For instance, whether in the context of a hybrid or reclassification approach, Title II brings with it policy issues that run the gamut from privacy to universal service to the ability of federal agencies to protect consumers, as well as legal issues ranging from the ability of Title II to cover mobile services to the concept of applying forbearance on services under Title II. I am grateful for the input of the President and look forward to continuing to receive input from all stakeholders, including the public, members of Congress of both parties, including the leadership of the Senate and House committees, and my fellow commissioners. Ten years have passed since the Commission started down the road towards enforceable Open Internet rules. We must take the time to get the job done correctly, once and for all, in order to successfully protect consumers and innovators online. Whether this very public position by the White House leads the FCC to act any differently will be open to debate over the next month, as the deadline to get rules made and circulated to the commissioners before the last open meeting on December 11th grows near. It certainly gives them more political cover. Evidence for the Speaker’s assertion regarding the impact of net neutrality laws on jobs is scant, as Carl Brooks, an IT analyst with 451 Research, noted: “Connection markets are robust and competitive in [the European Union] for business; for consumers, prices are dramatically lower.” (The European Parliament enacted a strong net neutrality law earlier this year.) “Net neutrality in the EU is explicit policy to encourage competition [and] benefit consumers on the backs of state telecom,” he went on. Regardless of the political outcome in Congress, close observers of the FCC expect the rules to be delayed until 2015. What the American people get for a holiday present online is — reclassification or some form of tiered services — remains, for now, something only St. Nick knows. This post has been updated with more statements, links, media and analysis. FCC opens docket on Open Internet rulemaking. Will the Internet show up to comment? Over at The Verge, editor-in-chief Nilay Patel is urging his readers to contact the Federal Communications Commission and urge the regulator to stand up for consumer protections, competition and to classify the Internet as a utility. The post includes a big graphic with the FCC’s phone number and FCC Chairman Tom Wheeler’s email, encouraging readers to weigh in. The passionate post and call to action is missing a key component, however: a link to the new public docket on the Open Internet where people can submit official comments through the commission’s electronic file system. As useful as it might be to get the FCC’s phone’s ringing — and as entertaining as it might seem to make the FCC chairman’s ability to get to Inbox Zero impossible — not sending a river of traffic to that docket means that people won’t be adding their voices to those of the companies that are being regulated. That’s a shame: These comments are entered into the public record and are legally binding. If this is something you care about, on either side of the issue, go weigh in here. The relaunch of FCC.gov years ago was supposed to make all this easier. Unfortunately, the FCC is not going the extra mile to get people onto the docket. While the commission has tweeted links to the chairman’s statements and fact sheet, they haven’t tweeted or put up a blog post that will lead people directly there. To be blunt, not doing so looks like public engagement malpractice to me, promulgating press releases but failing to directly engage the American people on an issue of public interest using free social media tools and considerable platform the agency has built over the years. The FCC may be seeking public comment but anyone clicking this tweet would be hard pressed to figure out how to give it: there’s no link to the Open Internet proceedings on the page. So, here’s a free suggestion to the FCC, if they’re listening: tweet a link to the Open Internet proceedings out and give the American people who you serve an opportunity to weigh in. UPDATE: The @FCC stepped up, tweeting a link to the Open Internet docket 3 times since February 27. As of March 5th, there were 9,341 comments submitted to proceeding 14-28. 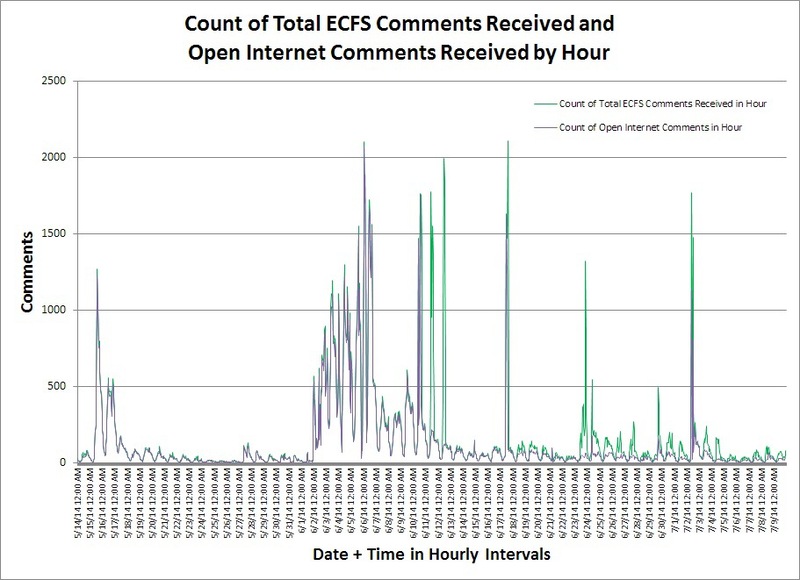 UPDATE: As of May 15, the day of the FCC Open Hearing on the Notice of Proposed Rulemaking on the Open Internet, the 14-28 docket had received 21,017 comments. Watch live online at FCC.gov/live. David Bray, a seasoned national intelligence executive (CV), will be the next chief information officer of the Federal Communications Commission. He’s expected to finish his work in the intelligence community at the Office of the Director for National Intelligence and commence work at the FCC in August. 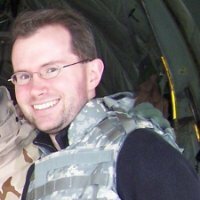 “As the next FCC CIO, I look forward [to] aiding the FCC’s strong workforce in pioneering new IT solutions for spectrum auctions, next-gen cybersecurity, mobile workforce options, real-time enterprise analytics, enhanced open data, and several other vital public-private initiatives,” wrote Bray, in an email sent to staff and partners Monday night. Bray holds a a PhD in information systems, a MSPH in public health informatics, and a BSCI in computer science and biology from Emory University, alongside a visiting associateship from the University of Oxford’s Oxford Internet Institute, and two post-doctoral associateships with MIT’s Center for Collective Intelligence and the Harvard Kennedy School. He also has served as a visiting associate with the National Defense University. Bray’s career also includes deployments to Afghanistan, projects at the Department of Energy and work at the Center of Disease Control. 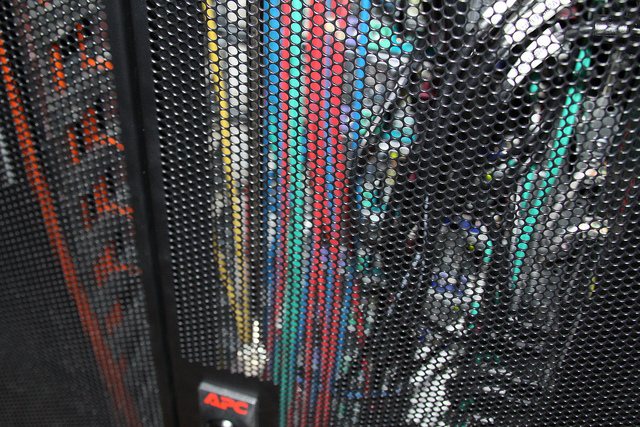 Bray will inherit many IT challenges from former FCC CIO Robert Naylor, who announced that he’d be stepping down in December 2012. His background in the intelligence community will serve him well, with respect to network security issues, but he’ll need to continue to transition an agency that has traditionally outsourced much of its technology to 21st century computing standards and approaches to building infrastructure and meeting increasing demand for services. Bray’s past work in collective intelligence, informatics, public health and data science suggest that he’ll have no shortage of vision to bring to the role. His challenge, as is true for every federal CIO these days, will be to work within limited budgets and under intense scrutiny to deliver on the promise.